With HP no longer making hardware, their last released phone will be the HP Veer. Unfortunately, the HP Veer only made to a few carriers. In the US, that’s limited to AT&T. Those looking to use the HP Veer on T-Mobile or any carrier for that matter, do have options. 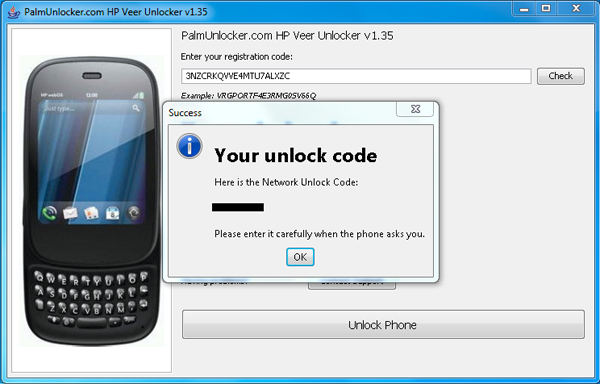 Software solutions are available to unlock the HP Veer. PalmUnlocker has furnished us with an AT&T branded HP Veer 4G to test out their service. I started the process with a brand new, off the shelf AT&T branded HP Veer. I started by entering in my Palm Profile information, thereby activating the device. Before starting the unlocking, You have to remove any SIM card. I connected the Veer to my Mac using the supplied USB cable. In order to use the unlock software, I had to use Windows 7, which was easy enough using VMWare Fusion. The developer indicates that the software also supports Vista and Windows XP. What’s unique about this unlock software is that it offers a try before you buy feature. 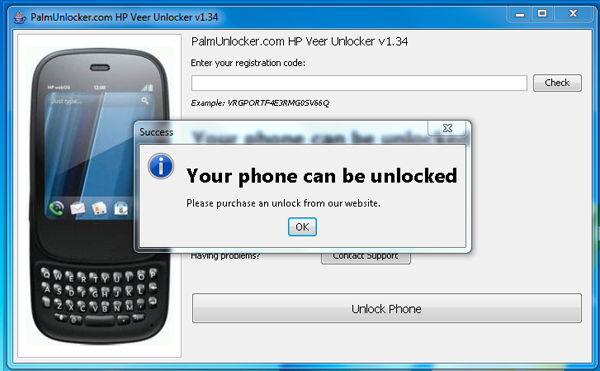 The software will advise you if the Veer unlock generator is able to supply you with a permanent unlock. Once confirmed, there is a $39 fee required to complete the process. Before selecting the ‘Unlock Phone’, you have to hold the ‘Sym’ ‘R’ and ‘White’ buttons. The phone will reboot and at that time hold the ‘R’ button. You should see the USB symbol appear on the display. Now press the ‘Unlock Phone’ button within the software. When I tested the software, I had to disconnect and reconnect the USB cable. This might have something to do with my boot camp configuration. Once the software recognized the Veer was in recovery mode, it proceeded to generate a Network Unlock Code displayed on my screen. At this point, you’ll need to insert a SIM card of your choice. You will be prompted to enter the code, which completes the process. 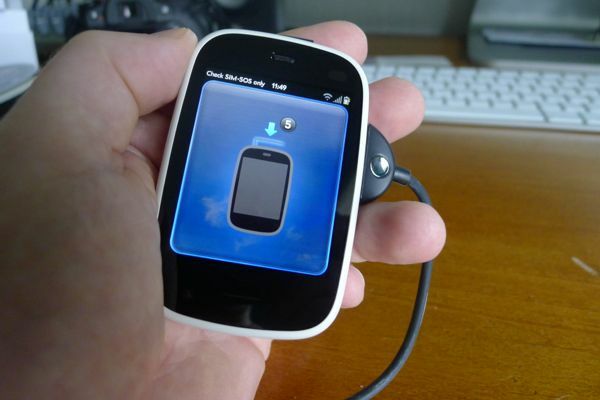 The HP Veer might just be the last released webOS phone. Unlocking your HP Veer offers the flexibility of using your phone on any carrier. Personally, AT&T is my go to carrier for day to day usage. However, the benefits of having an unlocked phone are immense during any sort of travel outside of the US. In the past, I’ve used my Nexus One and purchased a SIM card locally. I’ll continue to do that now, but my device will no doubt be the ultra-pocketable Veer. The process was painless and it’s easy to justify the cost if you’d like to use an unsupported carrier like T-Mobile or would like to avoid excessive roaming charges while traveling outside of the US. Unlock codes are priced at $39 via PalmUnlocker.com. Readers of our site can use coupon code VEERUNLOCKDISC5 to receive a $5 discount.